The Second International conference on "Amphibian and reptiles anomalies and pathology: Methodology, evolutionary significance, monitoring and environmental health” was held on 6–10 September 2016 in Ekaterinburg at the Ural Federal University. The conference brought together a number of experts in the fields of zoology (herpetology), evolutionary morphology, taxonomy, ecology, molecular genetics, cytology and conservation, scientific centers of 6 countries (Russia, Kazakhstan, Ukraine, Japan, Germany and France) and 18 cities. Twenty-eight reports and nine posters were presented during the academic seminar and a roundtable discussion. Conference topics: The topics discussed in the conference were about coordination, unification, and definition of research priorities in the field of fundamental and applied aspects of the innovative areas related to the problems of evolutionary teratology, morphogenesis ecology, and environmental quality. 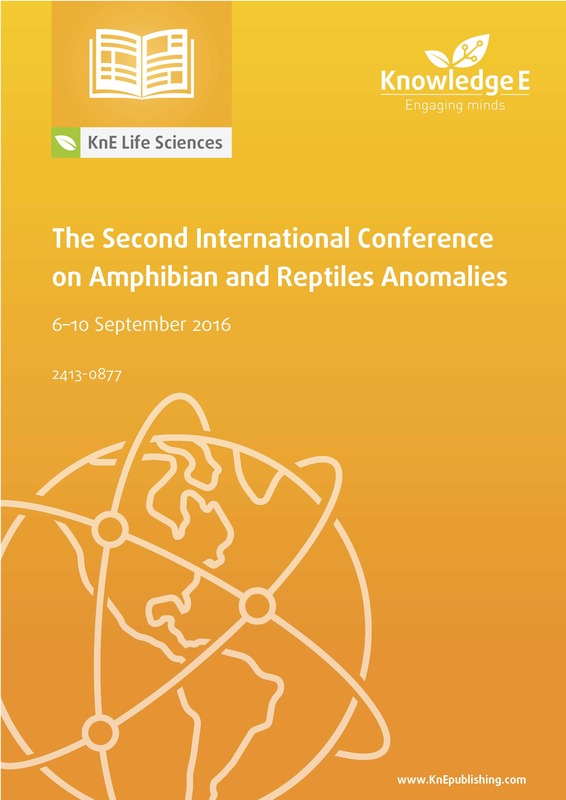 Indexing: The Second International Conference on Amphibian and Reptiles Anomalies and Pathology Conference Proceedings are indexed in Web of Science (by Clarivate Analytics, formerly Thomson Reuters and ISI).